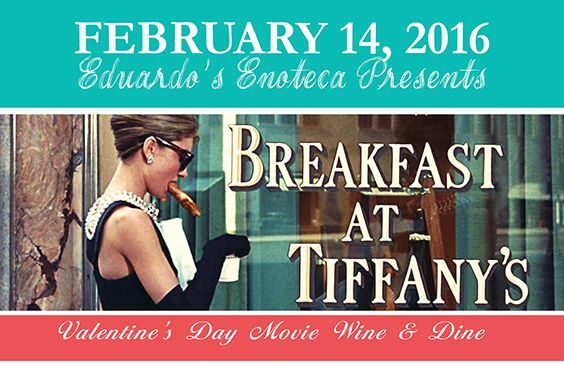 It’s the season of love, and we are celebrating Valentine’s Day with authentic Italian food, boutique wine, and a romantic screening of the classic film Breakfast At Tiffany’s. Our brunch packages includes your choice of cocktails or fresh squeezed juice, a bottle of boutique wine, an authentic Italian appetizer course, brunch entree, dessert and bottle of Prosecco to go. Breakfast at Tiffany’s will show at 12pm and 2:15pm. This is the perfect place to celebrate Valentine’s Day with a loved one. 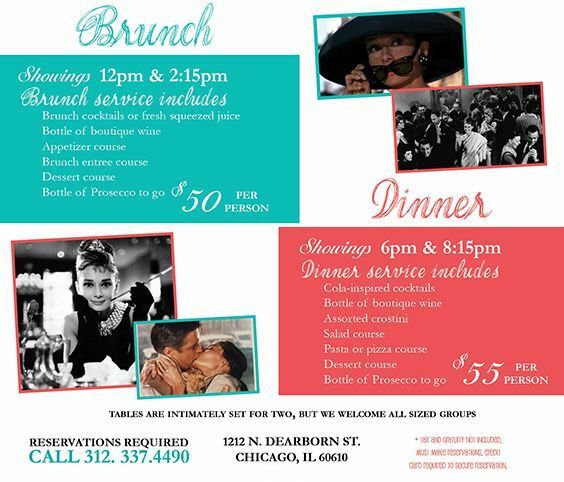 You can enjoy the brunch date for $50 a person. Dinner showings will begin at 6pm and 8:15pm. Dinner service will include Cola-inspred cocktails, a bottle of boutique wine, assorted crostini, salad course, pasta or pizza entree, dessert, and a bottle of Prosecco to go. The dinner dates can be enjoyed for $55 a person. We provide a cozy environment with beautiful Italian dishes, fine wines and good movies. 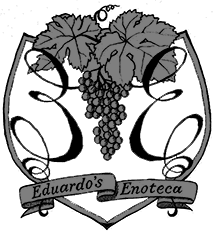 Eduardo’s Enoteca is the perfect Valentine’s Day destination for you and your date. Make your reservations today!